Don Victor Castro was a fighter. His father was from Cordoba, Spain and Victor was proud of his Spanish heritage. Born in 1820, Don Victor Castro inherited the magnificent Rancho San Pablo, the first rancho in Contra Costa County. Don Castro did not gamble or carouse. He also had reputation for never smoking, drinking or using profanity. Tall and immensely strong, Victor was a renowned horseman. In 1840 he was made a jeuz de campo, "judge of the plains." As such Don Castro had absolute authority over the great roundups where cattle were separated for branding. He was active in wars against the Indians that raided the Mexican ranchos and in fighting the American squatters that swarmed on to his property after the gold rush. He was a leader both in war and peace. Under American rule in 1852, he was elected a Contra Costa County supervisor. Still Victor Castro never lost his concern for the plight of Mexico. During the early 1860's America's energies were occupied by its Civil War. France under Napoleon III took advantage of America's political turmoil by seizing Mexico and naming their political puppet, Archduke Ferdinand Maximillian, as the Emperor of Mexico. Mexico soon plunged into rebellion as it fought to regain its independence. President Benito Juarez was the leader of Mexico's struggle for freedom. Desperate in their fight against the power of France, the rebels sought financial and military support from outside of Mexico. 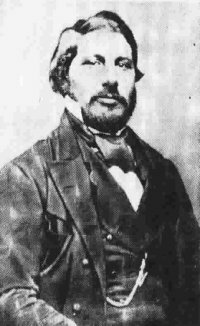 In 1864 General Placido Vega was sent by Benito Juarez on a secret mission to California. To generate support for the constitutional government of Mexico, Vega met with the leading Mexican-American families of Contra Costa asking for their moral and monetary aid in the cause of Mexican independence. Seeking additional political influence General Vega also became a vice-president of the Union Club of San Francisco. As an officer of the Union Club, he contributed both time and money working on Lincoln's 1864 re-election. The primary purpose for General Vega's mission was to buy munitions for the struggling Juarez government. During our Civil War the American government had prohibited the export of arms to Mexico. Vega was soon deeply involved in smuggling guns into Mexico. General Vega also organized Mexican patriotic clubs throughout California and Nevada. Their purpose was to raise money and recruit volunteer soldiers to fight for a free Mexico. In Contra Costa County clubs were formed in San Pablo, Pinole, and Martinez. Vega's greatest success was the delivery of 8,000 rifles to Porfirio Diaz and 24,000 muskets to Juan Alvarez. With these arms, they eventually expelled the French from their parts of Mexico. The Pacheco, Castro and Vallejo families contributed money and moral support. Augustin Alviso, Salvio Pacheco, and Victor Castro even loaned General Vega $24,000. For Victor Castro money alone was not enough. He felt that he must go to Mexico and personally fight the French and their Mexican allies. The first military expedition in 1865 was stopped in San Francisco largely through the efforts of Mark Burke, San Francisco Chief of Police and a deputy in the Port Collector's office. Original papers in the Bancroft Library reveal that at the time, the San Francisco Police Chief was actually a secret agent in the pay of the French government. In 1866 Don Victor Castro successfully raised a company of volunteers and was commissioned a captain in the Mexican army. Many of the officers and volunteers in the large invasion force organized by General Vega were Anglos, not Mexicans. Most were soldiers newly discharged from the Union Army. While a number were motivated by idealism, others were seeking pay, excitement, adventure and land as their rewards. The expedition left San Francisco on the bark Keoka and the brig Josephine. Landing near San Blas, they marched inland and joined the Mexican rebel army. Don Castro fought bravely in Mexico until the French were expelled and the Archduke was captured and shot. The Hundreds of tough, trained soldiers from California fighting along side the Mexican freedom fighters were valuable in securing the final victory. At the end of the struggle, Don Castro was a colonel and numbered among his friends Benito Juarez, Diaz, Corona, Gonzalez and other Mexican leaders. Following the war to expel the French, many of these Mexican patriots visited Don Castro's lovely home in Contra Costa. After the death of Juarez, Diaz paid Victor $13,000 for his services and sacrifices in Mexico's war of independence. For many the final chapter in this story was not a particularly happy one. General Vega was accused by his enemies of misappropriation of funds while he was in California. For the rest of his life, he lived under a cloud of suspicion. Porfirio Diaz became a dictator and ruled Mexico with an iron hand eventually spawning another terrible round of rebellion and bloodshed. Victor Castro died owning only 300 acres out of the thousands that once were his. Litigation, taxes and squatters had, over the years, reduced his giant cattle kingdom to a small farm. However nothing could ever reduce his spirit or place in history. General Vega's correspondence, Bancroft Library, University of California, Berkeley, California. Miller, Robert Ryal, Sept. 1958, "Californians Against the Emperor," California Historical Society Quarterly, Vol. XXXVII, No. 3. Richards, Helen Follett, Jan. 8, 1966, "Yesterdays In Richmond, Contra Costa County and California," Richmond Independent.